Voice Commerce Ready for Prime Time? The ability to use one’s voice to shop has been tried by a number of merchants, including Amazon, Ebay, and Domino’s Pizza. But it has not, to date, gained wide popularity among consumers. With the rise of mobile commerce, however, voice-enabled shopping could make sense. In this post, I’ll present pros and cons. Faster search. Search is a critical feature used by shoppers. Faster search can lead to a better customer experience and more sales. Voice-enabled search saves time, compared to manually typing in the query. Several merchants have tried this approach. For example, CheapAir.com, a budget travel site, has voice-activated flight search where the cities and dates of the trip can be entered using voice and the matching flights are shown in the search results. 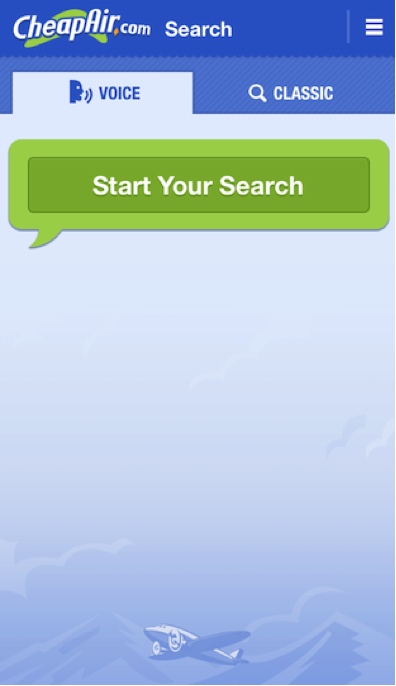 CheapAir.com, a budget travel site, has voice-activated flight search. Amazon Fire TV allows voice-activated search, to locate movies and shows, versus manually typing the search criteria. Shop without typing. Mobile devices have enabled shopping on the go, but they still require manual data entry, which is not always easy and feasible. Voice commerce helps, by allowing a consumer to place the order by just stating what she wants. For example, a grocery retailer could allow its shoppers to place orders in a car and then come to the store to pick up. This would require, however, fast order picking from the store. Retailers that sell gift products could also benefit from this feature as someone could select the appropriate gift using voice and place the order while on the go. The gift can be delivered using the normal shipping process. Ease of data entry. While mobile commerce has grown dramatically, it continues to be a challenge because of the small screen and the lack of an attached keyboard. Voice eliminates manual data entry and makes mobile commerce easier to use. Merchants can start with any screen on their sites that require significant data entry — such as the payment details page, registration forms, or email signup forms. Another area for voice is product reviews. A few weeks after a customer has received an item, the retailer should send a message that requests a product review using voice. This could result in more detailed reviews, to help shoppers make decisions. Interactive selling. Voice can make interactive selling or guided selling much easier by asking shoppers about the products they are looking for and filtering the results based on their responses. An example is shopping for jewelry. A consumer can start by asking about rings with white gold. The site can respond by listing the search results that meet the criteria. Then the shopper can narrow the results by specifying the price range, customer ratings, color of stone, and so forth. At some point, the shopper will still have to review the filtered results and select a design. But by interactively working with the site using voice, the shopper can narrow the list of desired items quickly. Customer service. Customer service searches are easier if the site can support questions and answers using voice, as if a human is talking with another human. This can help retailers save a shopper’s time in answering her queries. For example, Ask.com’s iOS and Android apps allow users to use their voice to ask and answer questions as well as comment on answers. 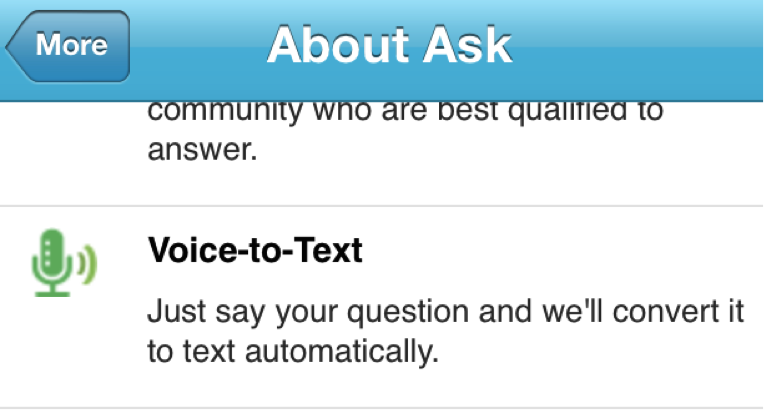 Ask.com’s iOS and Android apps allow users to use their voice to ask and answer questions. Voice recognition. Voice recognition is the biggest hurdle for greater adoption of voice commerce. With thousands of worldwide languages and dialects, it is difficult to understand every accent and pronunciation. Additionally, in some situations, the background noise makes it challenging to understand the voice. No vendor can guarantee 100 percent voice recognition. But significant improvements are being made. Difficult to integrate. Enabling voice commerce requires integration with a third-party platform, which is not always straightforward. In most cases, merchants prefer to focus on building better core features versus spending time and money on add-ons like voice commerce. Return on investment. Given that voice commerce has not been widely adopted, it is difficult to justify the investment in offering this capability. Retailers need to make the investment to increase adoption and showcase success but they also need to justify the investment by building a viable business case. Wavelink and Nuance are two vendors that enable voice commerce in existing applications. Mobile app performance. Adding voice to an existing mobile app can result in slower performance as the app works with the embedded voice feature. The reduced performance can result in unhappy customers and lower revenue, which makes it less attractive to add voice. The other option for adding voice is to integrate with a third-party offering that is hosted remotely and that may cause less of a performance issue. But this limits the voice feature to the performance of the third-party. Not a mainstream ecommerce feature. Voice commerce is not for everyone. Hence it is not offered as part of the mainstream ecommerce platforms and makes it a special project for implementation. Are you using voice as part of your ecommerce offering or have you shopped on a site that offers it? Please let us know in the comments, below.